As more and more jobs are outsourced, and the economy continues to struggle, people are looking for an alternative to the greed-driven, selfish leadership that has resulted in corporations where the workers are treated as interchangeable parts. This book shows how the human factors can be used to unlock higher returns on human capital such that workers are no longer interchangeable parts, but assets that are cared about and grown. 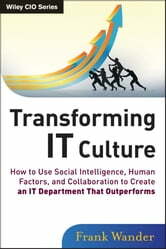 Refreshingly innovative, Transforming IT Culture shows how neuroscientific and psychological research can be applied in the IT workplace to unleash a vast pool of untapped potential. Employees want positive change in business, something to stop the downward spiral we are on, both financially and emotionally. 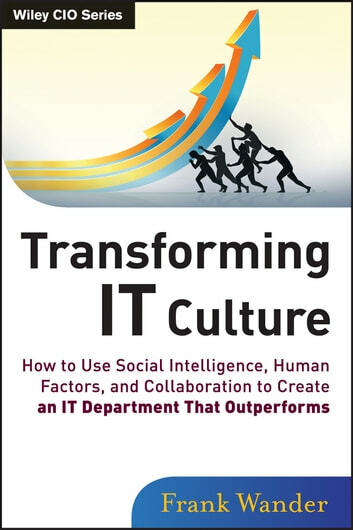 Transforming IT Culture shows how the essential ingredient to any high performing IT department is a culture where employees are valued and managed to their strengths. Using the Information Technology profession as a lens through which we can understand knowledge worker productivity and how to seriously improve it, this important new book reveals why Collaborative Social Systems are essential to every organization.